the possibility of adding an anti-odour cover attached to the skimmer arms (see § below). The full-flow pressurisation technique is normally used for this type of treatment. Although the rectangular shape can be used, the circular form will produce units that perform better, especially in the larger ranges, with simple equipment and very much reduced maintenance requirements. The F/M ratio constitutes the dimensioning criterion, ranging from 3 to 12 kg DS · m–2 ·h –1, depending on sludge quality and concentration (sludge index) and whether or not a polymer flocculating agent is used. 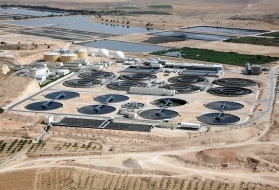 Extracted sludge concentration can vary from 25 to 60 g · L–1 depending on their origins. Although this is not essential, sludge flotation units can be covered over. The rotating cover system comprises: fabric stretched over the skimmer arms, providing a cover just above water level and, therefore, reducing the volume that has to undergo odour control (photo 30). 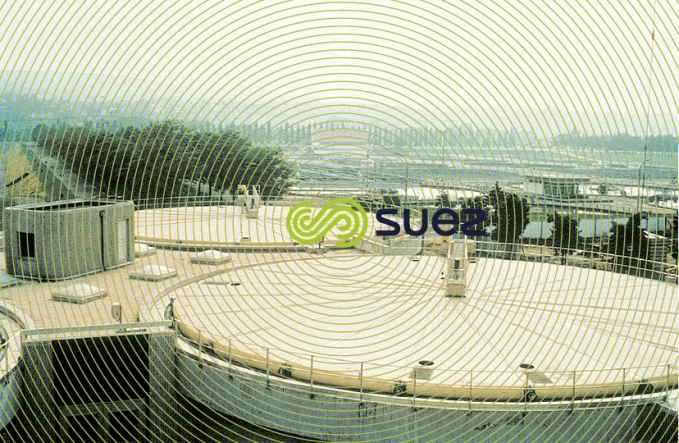 either concrete (FES flotation unit – thickener) in standard units up to 20 m in diameter with peripherally driven skimming. Beyond 15 m in diameter, these units have two diametrally opposed sludge removal chutes.